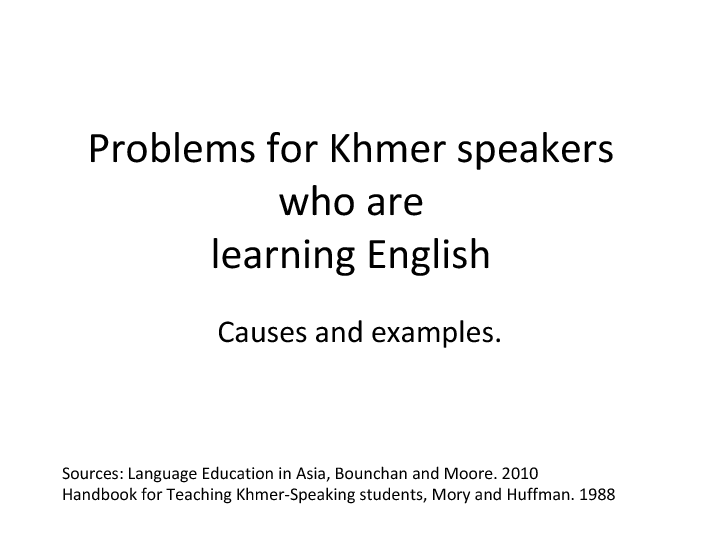 This is a powerpoint that is designed for secondary and tertiary students and for other English teachers. 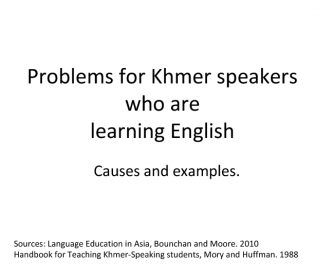 It describes the difficulties that Cambodian students have and why. It can be used for other South East students as well (wit some modification) because the languages of the region has similar features.